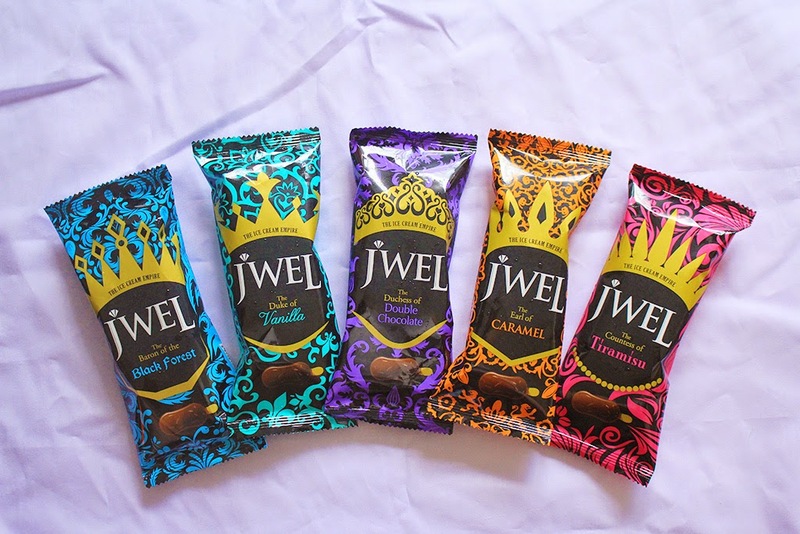 Amelie's Blog : JWEL Ice Cream Review! JWEL roadshows are coming to the end. Have you collected yours? 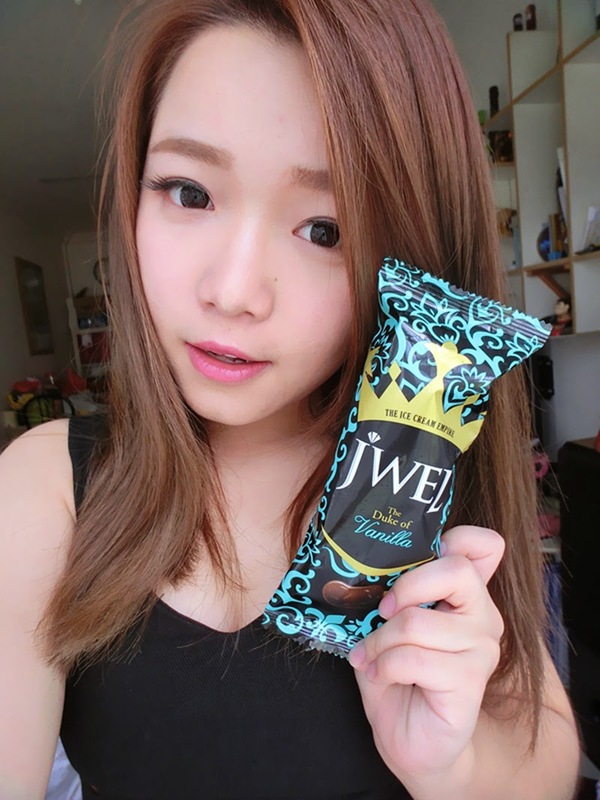 In this post, I will be doing a review on all flavored JWEL Ice Cream. Thanks F&N Creameries Malaysia, I have gotten 10 pieces of ice cream on my hand! So, here's the simple review on how I think about each and every one of them. From the outer layer, basically are all the almond-flecked chocolate coats which are crunchy and crispy, perfectly matches each and every flavored, aren't too sweet nor milky. Overall is a bit too sweet when it comes with a bite of both core and coat. A slight heavy on the taste of cherry that comes with a little sourness, for non-cherry lover wouldn't fancy on this stick. This is my favorite among all. The most compatible partners! The vanilla scent fully spread in the entire mouth, comes with the perfect blend of crispy chocolate coat at the first bite. It didn't cause any queasiness for the post tasting, leaving with fresh milky feeling in the throat. It's milky instead of being over-chocolicious, overall sweetness is just fine, without causing any greasiness on the throat or even after taste. Every ingredients work so well with the combination both sweetness (chocolate coat) and bitterness (caramel). The core itself tasted a bit like coffee. The Tiramisu taste is quite heavy yet it's just like a perfect twins that absolute compatible with the chocolate coat, without being too sweet. Some of the Tiramisu beverages may cause some sort of exhausted feeling on the after-taste, but this stick won't. *available at selected leading hypermarkets and supermarkets nationwide. 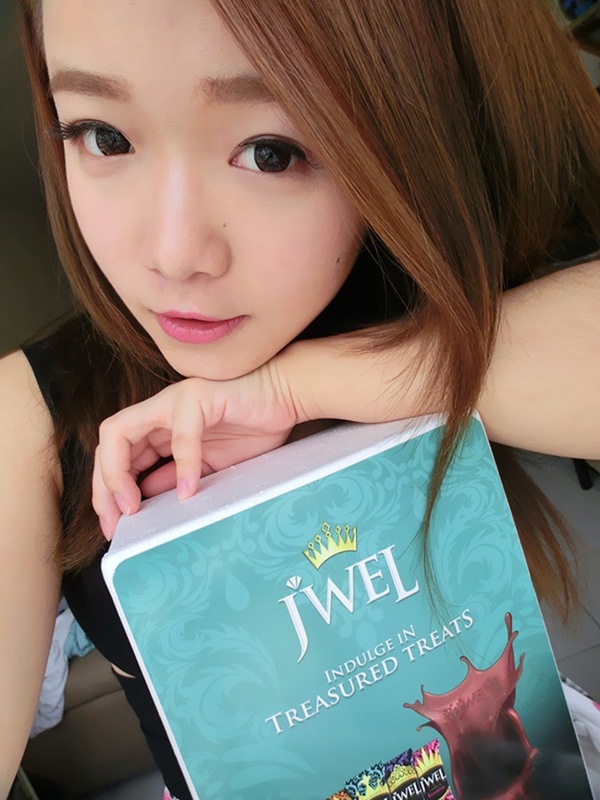 Don't forget to catch up more JWEL promotions and updates on Instagram or Facebook. you are so cute would you like to follow each other?